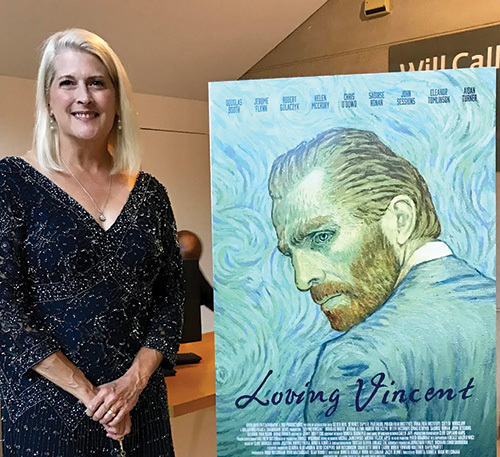 Colorado artist and former Loveland resident, Dena Peterson, was one of 125 international artists selected from 5000 portfolio submissions to recreate scenes in oil paint based on Van Gogh’s paintings. Loving Vincent is truly a labor of love and tribute to the life and struggles of Van Gogh as told through his paintings. An award-winning artist, Dena’s paintings have been exhibited in regional, national, and international shows. She received her training at the Loveland Academy of Fine Arts, the Art Students League of Denver, and the Scottsdale Artists School. PG-13. 1 hour, 34 minutes. In this workshop, Dena will share what she learned as she studied and painted scenes for the film in the style of Vincent Van Gogh. A supply list will be available upon online registration. 10 students max.